Disclosure: some of the links below are affiliate links. This means, if you click through and purchase it, I will earn a commission, at no extra cost to you. G Suite gives businesses the tools to get more done with professional email, online storage, shared calendars, video meetings and more. G-Suite is Google’s answer to a lot of problems faced by businesses communication and productivity problems. In one ‘suite’, G-Suite offers a solution for email, spreadsheets, presentations, shared calendars, cloud storage and much more. Read below to find out! G Suite essentially allows your employees to have their own Gmail accounts with email addresses with your business domain name (example: sarah@yourbusiness.com). A very small business with one or two users might be able to get away with free Gmail accounts. However, once you start hiring two or three employees, you’ll find yourself needing accounts that can be managed separately. For example, you might need an accounts@yourbusiness.com and an enquiries@yourbusiness.com. For G-Suites’s small cost of £3.30 per month, this is a no brainer. Added perk: Your company owns all employee email accounts. If someone were to leave your company to work for a competitor, within G Suite administration, you can immediately change that person’s password and forward any emails sent to their address to someone else. You can also access the accounts email history. One of the best features of Google Docs and Spreadsheets is the real-time editing and commenting. This means saying goodbye to asking colleagues to ‘close’ spreadsheets or word documents you want open and edit so they don’t save over your changes. G-suite realises that the modern workplace is fluid. Employees often move from one project to another, managing multiple jobs in the day. As a result, G-Suite enables multiple people to edit files in real time and simultaneously. On top of this, with G-Suite, your organisation can easily share an online calendar. With it, you can create events that are easy to share with other members of the organization or those outside. Sending invitations via email allows you to track who has accepted and rejected. It provides reminders, calendar sharing, and many other features found in expensive project management suites, but at a tiny fraction of the cost. For just £3.30 per user per month, you can have 30GB of online storage per user which is a big jump from the 15GB a free Gmail user gets. Even better, with the Business and Enterprise of Team packages, you can enjoy unlimited storage (n.b accounts with fewer than 5 users receive 1TB/user.) What is this extra storage good for? With Google Drive, users can share and work on massive files, like large videos or media-heavy presentation work; all of which are all editable in real-time. See Google’s list of storage and pricing options here. With G Suite, all Google Docs, Slides and Sheets created by employees are owned by the company. This is important in the modern workplace as people can change jobs frequently. When people leave, it is important to ensure that you retain all of the content that they created for your company and G-Suite allows you to do this. Also, G-Suite makes it easy to create automatic backups of folders and files to Google Drive that would otherwise be stored on a local PC. For example, you could create a company policy that requires employees to back up their local PC or Mac work folders and files to the company’s Google Drive. This helps to prevent disruption to productivity when an employee leaves. G Suite has an important layer of security that can be enforced for all users, if the admin decides to do so. This layer is known as 2-Step Verification. 2-Step Verification is particularly important if you decide to use Google Drive as the cloud backup standard for company PCs or Macs. If employees are automatically backing up a lot of local files to the cloud, you never know what sensitive information might be getting synchronised. This extra security for sensitive data you hold is vital as GDPR enters. Overall, for a low cost, your business can gain the power to move operations anywhere all while your company data stays safe and secure. With obvious advantages of increasing productivity, efficiency and streamlining communication, G-Suite is a must have for all types of businesses. 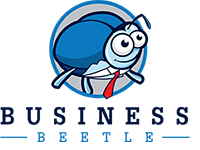 Business Beetle are offering 20% OFF your FIRST YEAR COSTS when you buy G-Suite Basic or G-Suite Business. Simply enter the code when prompted to enjoy the discount.